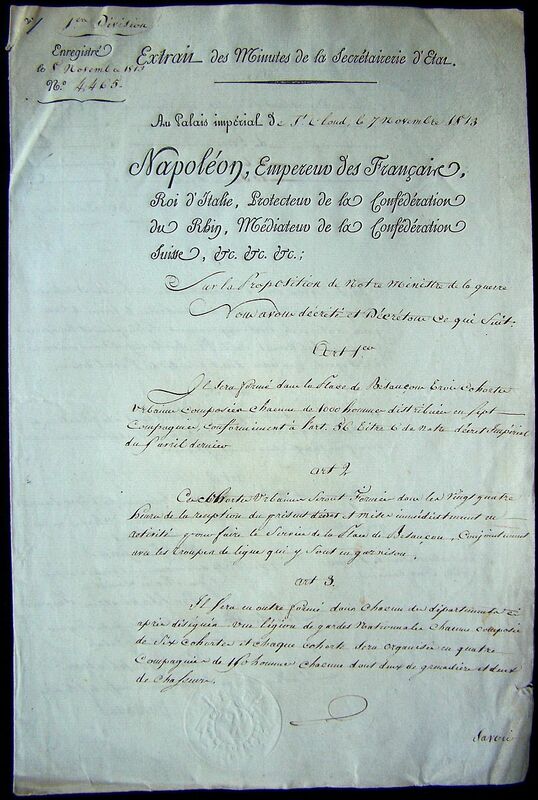 note: A printed document of the guard of honor to Emperor Napoleon. 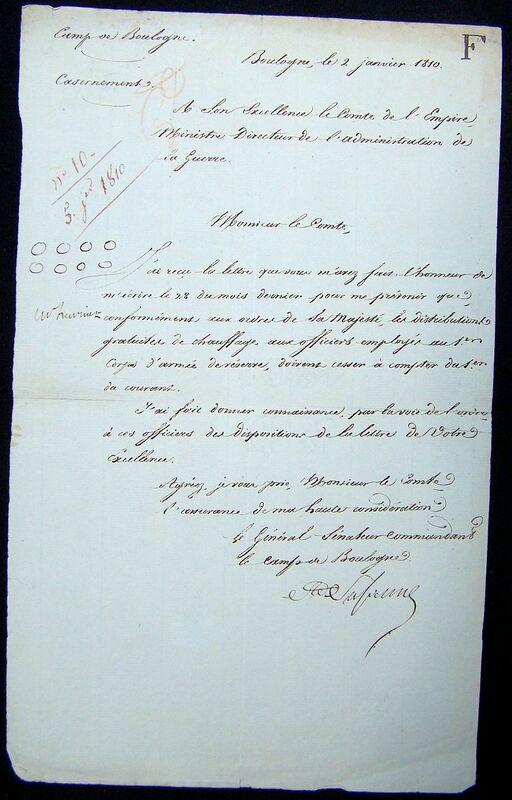 I have received the letter you made me the honour of writing me on the 28th, to warn me that, according with the orders of His Majesty, the free distribution of firewood to the Officers employed in the 1st Reserve Corps, must stop from the 1st of this month. 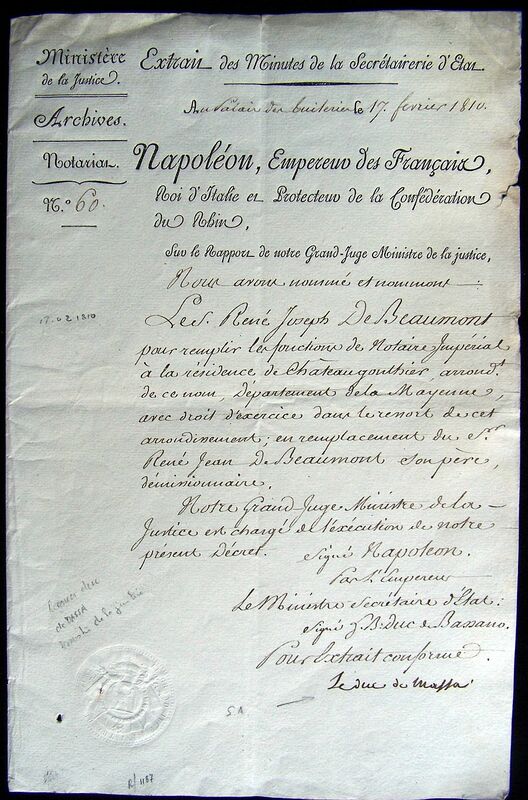 I have made known the order to these officers the provisions of the letter from your Excellency. 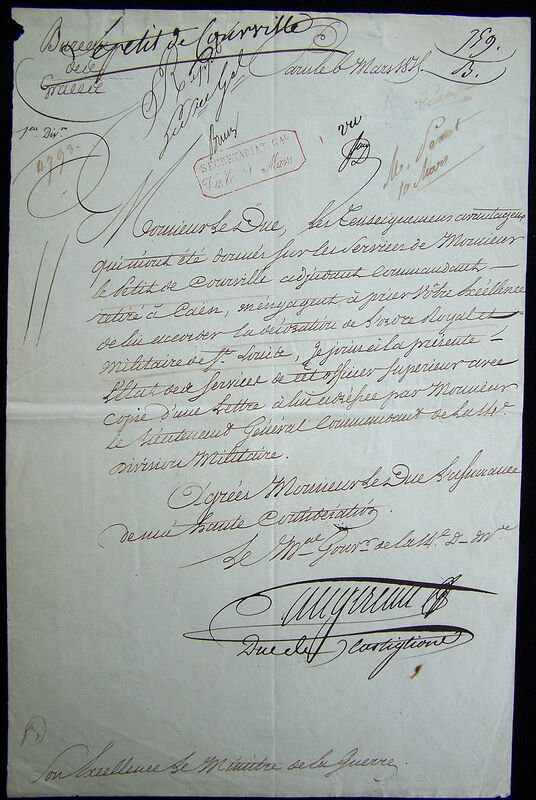 Please accept, Monsieur the Count, the insurance of my high regard. 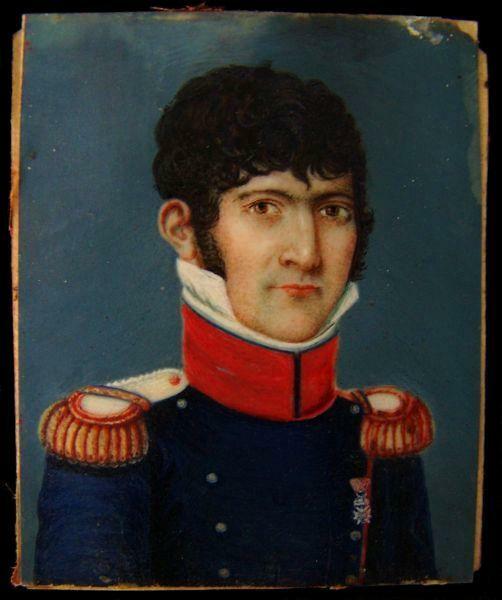 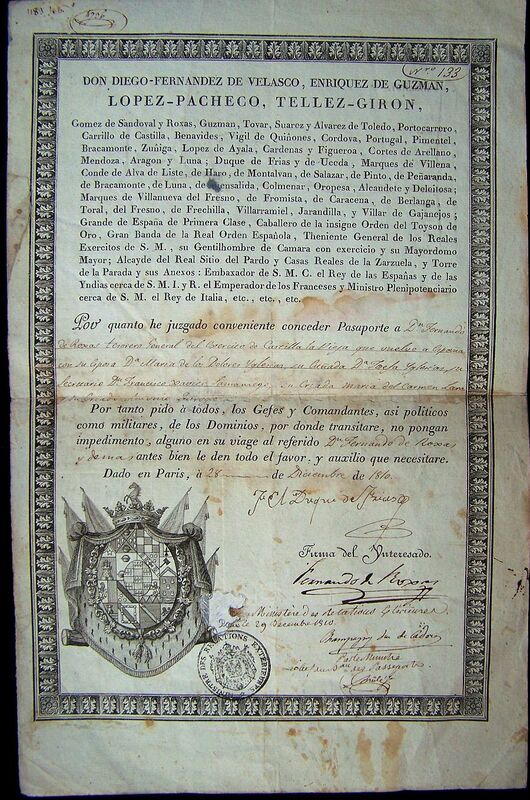 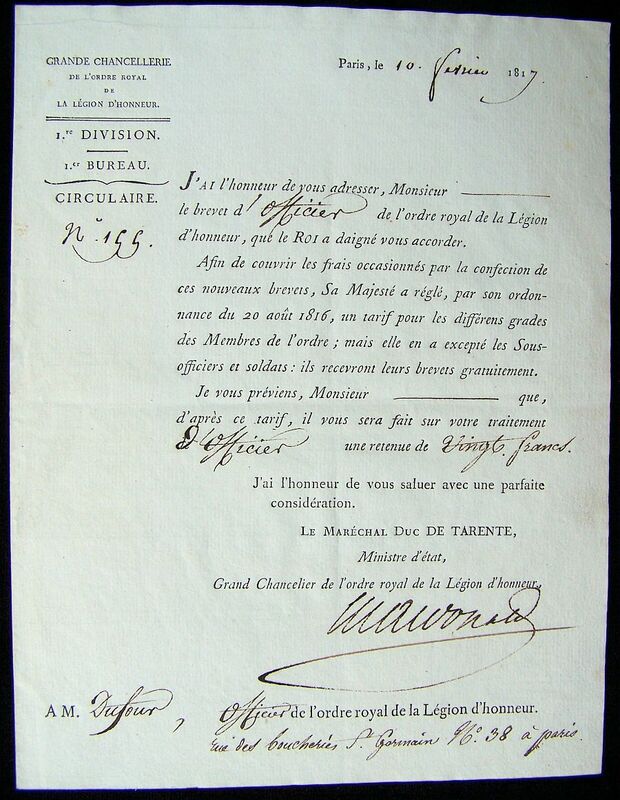 note: This is a document by the Duke of Massa while Minister of Justice and dated the 17th of February 1810.
note: The document concerns the Peninsular War and dated the 9th of June 1813. 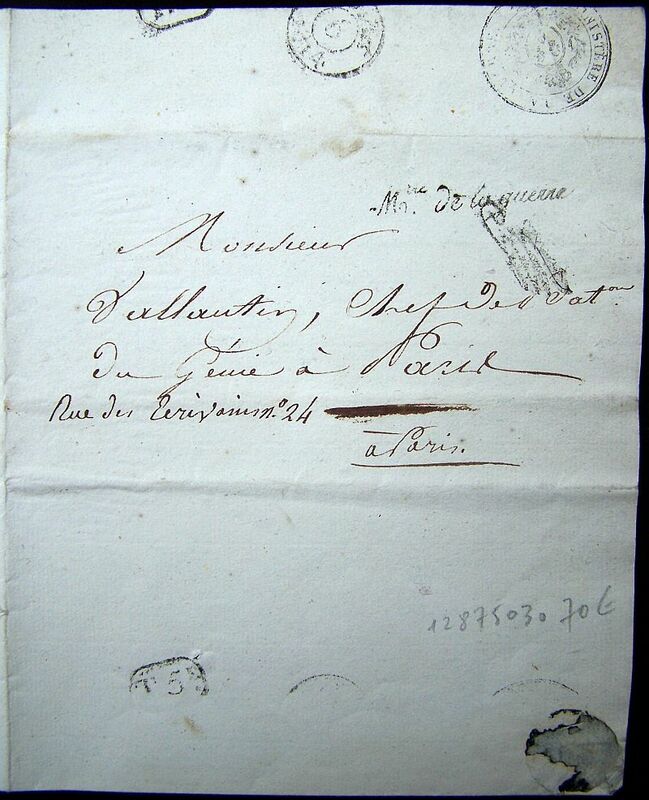 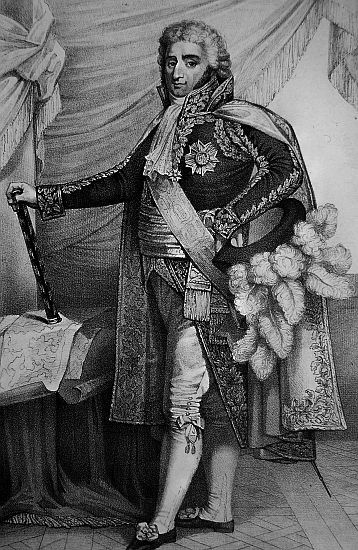 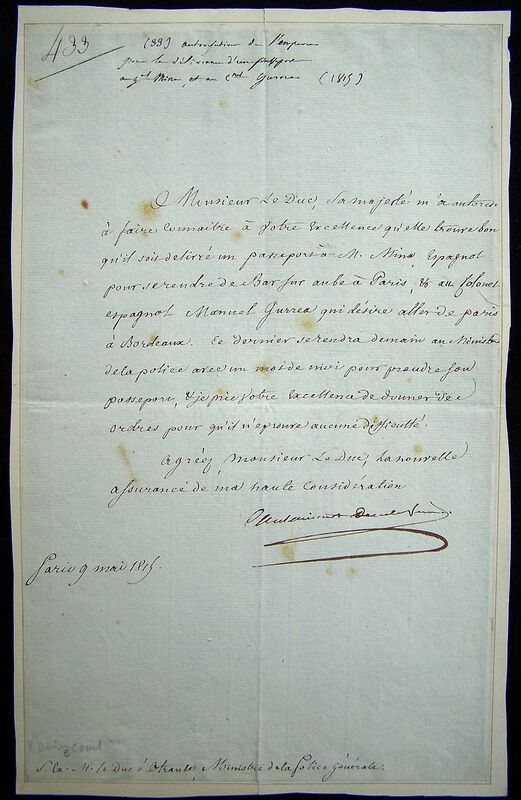 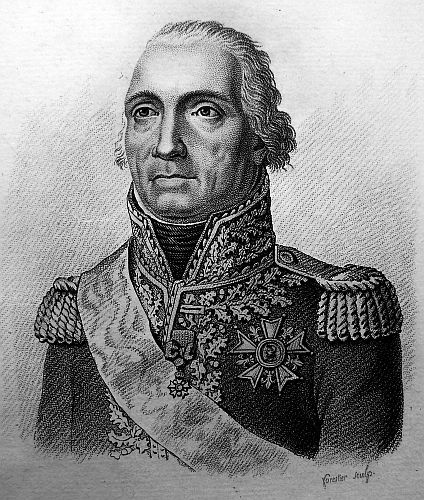 In compliance with the provisions contained in this letter your Excellency made me the honour of writing me about the named Jacques Francois Dehoux, who has come back, after a short absence, to the Regiment Chasseurs a Chevel of the Imperial Guard. 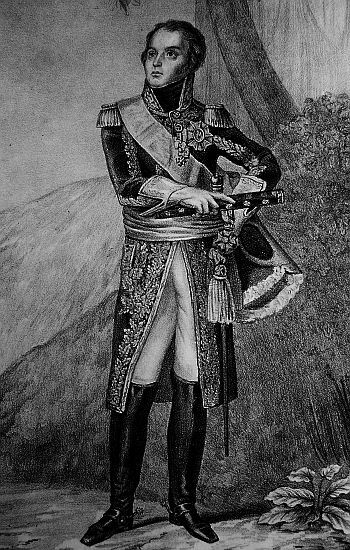 I have given orders to the Capitaine of Gendermerie de la Doyle, to have the proceedings that could be instituted against him stopped. 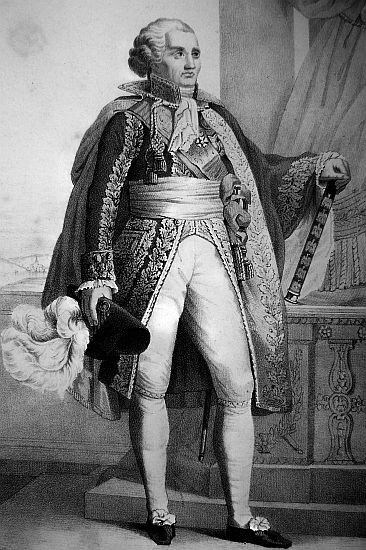 I have the honour of offering your Excellency the expression of my high regard. 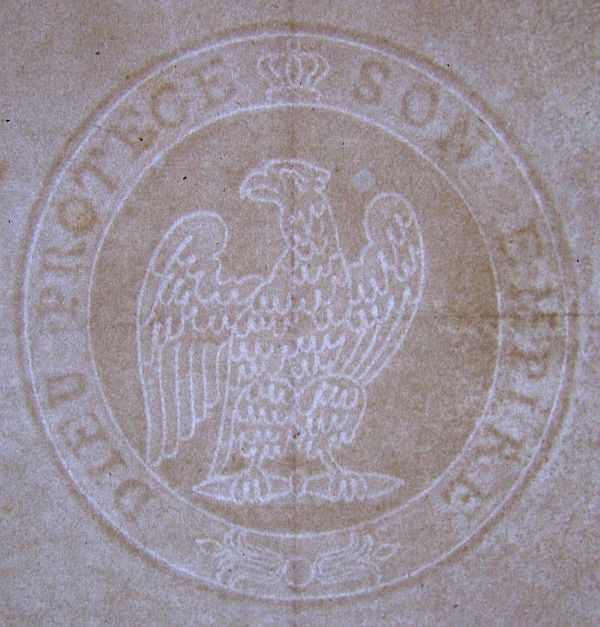 …an imperial decree on the formation of three cohorts in the town of Besançon, 1 000 men each, and a legion of National Guard of six cohorts. 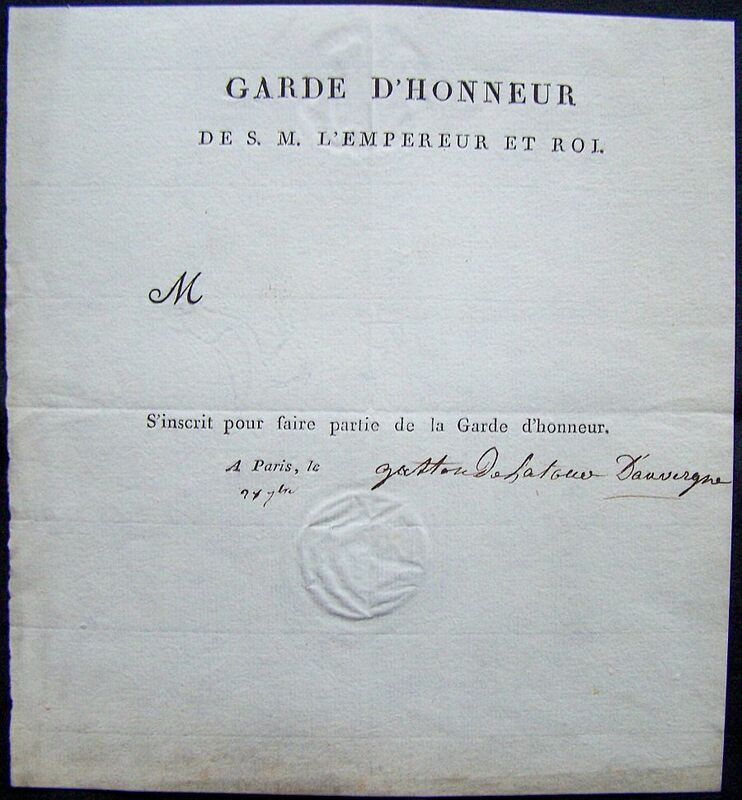 These urban cohorts will be formed within twenty-four hours of receiving this decree and immediately placed in active service at the Place of Besançon, together with the line troops that are in garrison. 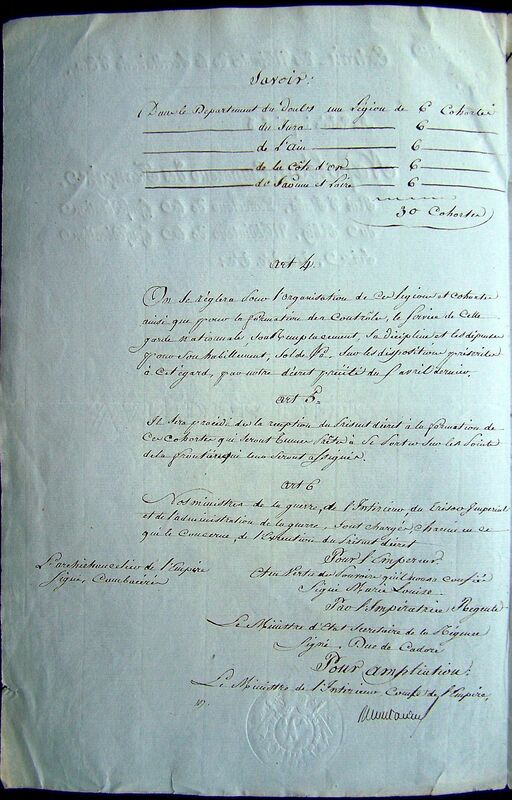 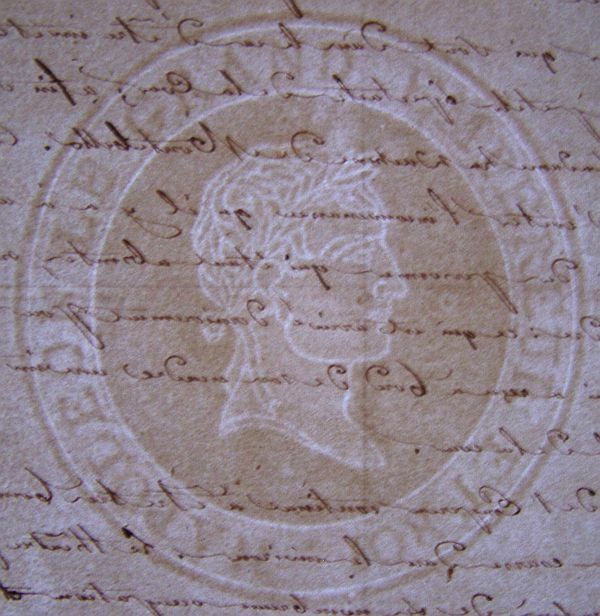 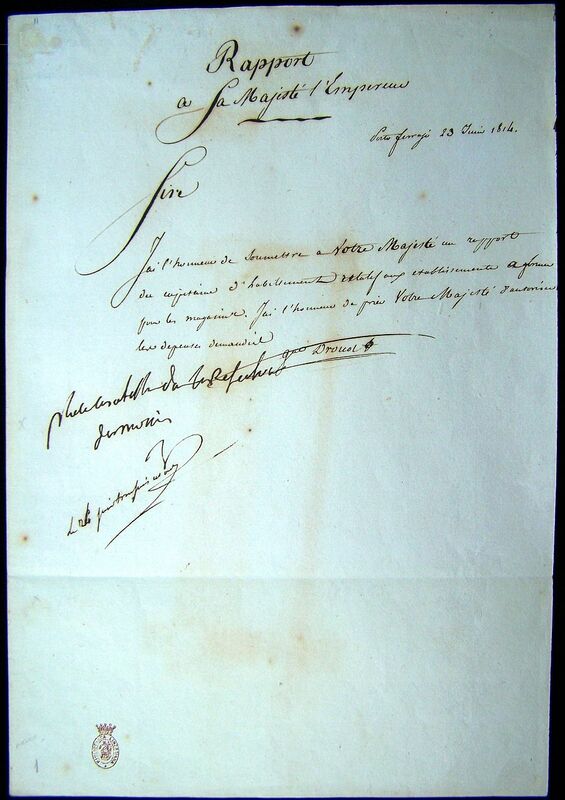 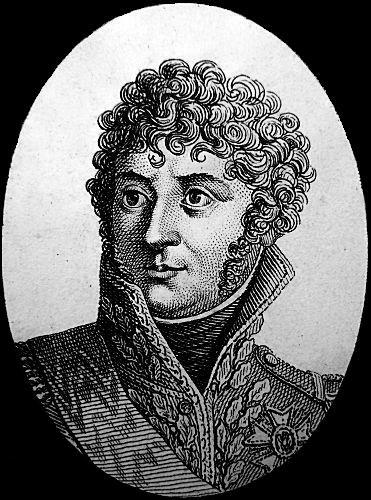 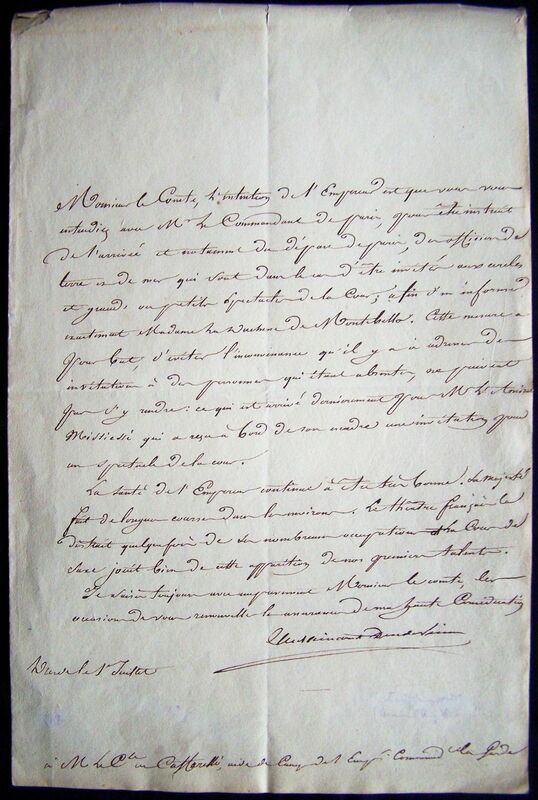 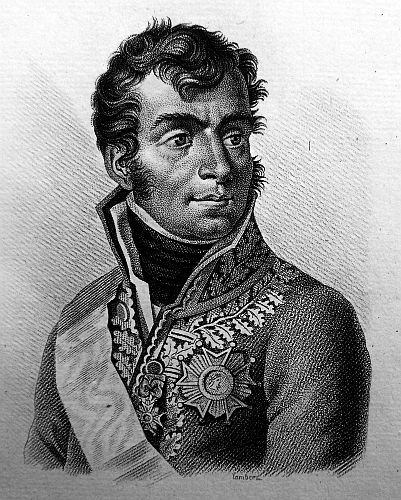 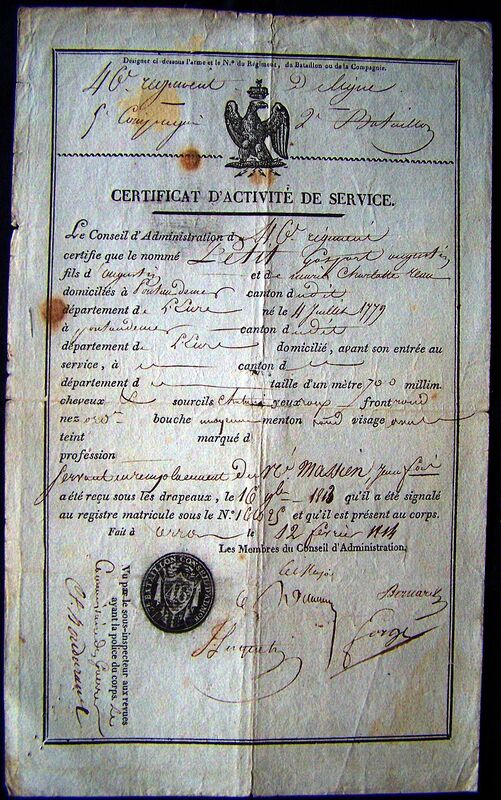 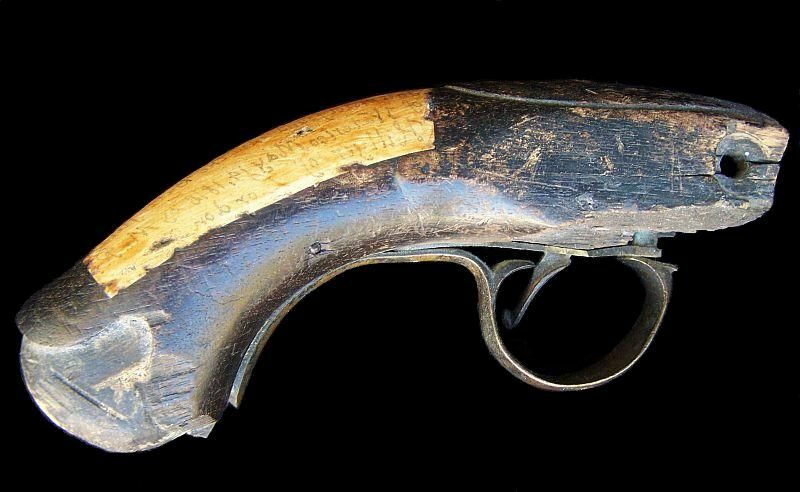 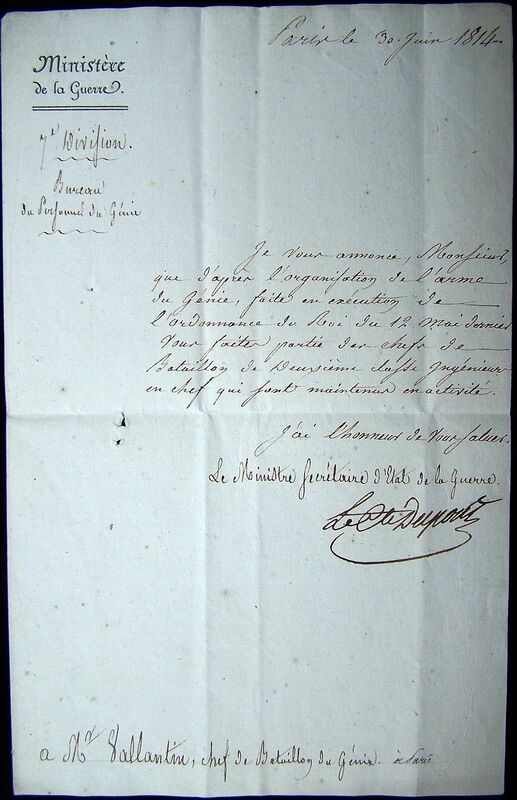 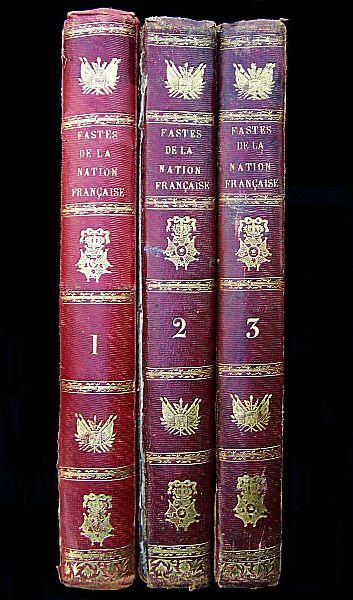 note: The document concerns the military service of Gaspard Petit Augustin and dated the 12th of February 1814. 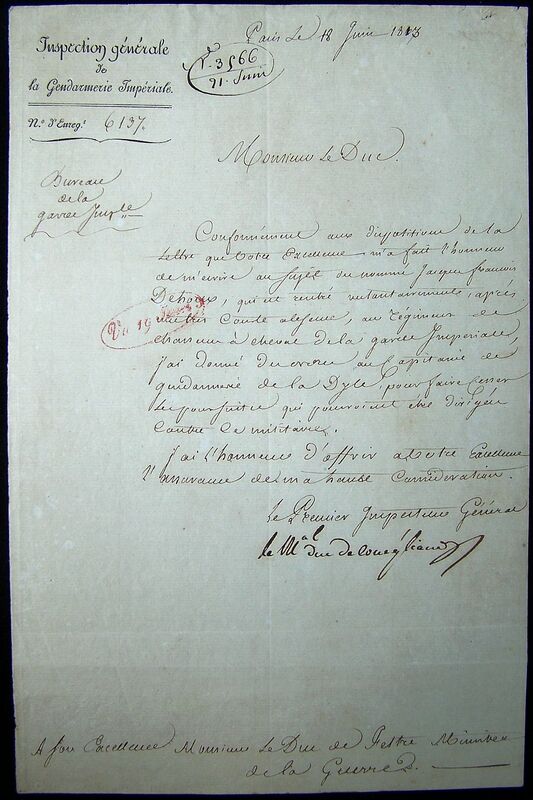 I have to honour of submitting Your Majesty a report from the Capitaine d’Habillement relating to the establishments to set up for the stores. 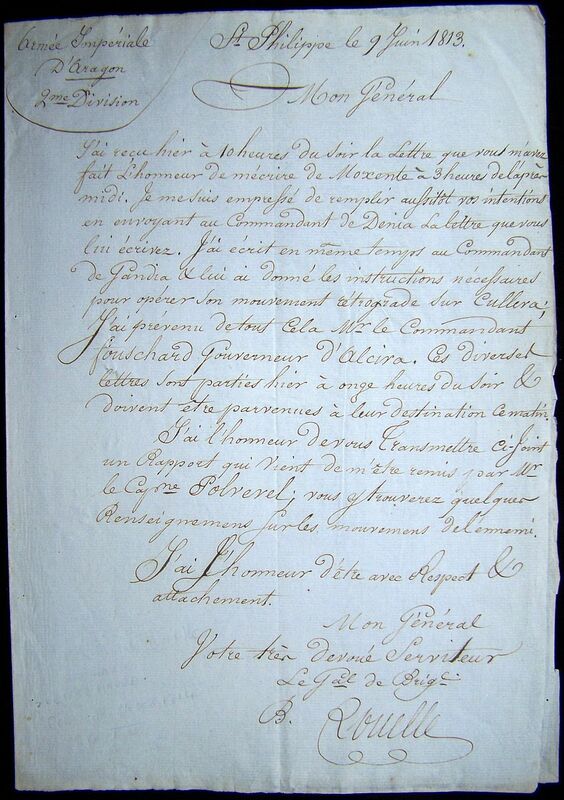 I have the honour of praying Your Majesty to authorize the requested expenses. 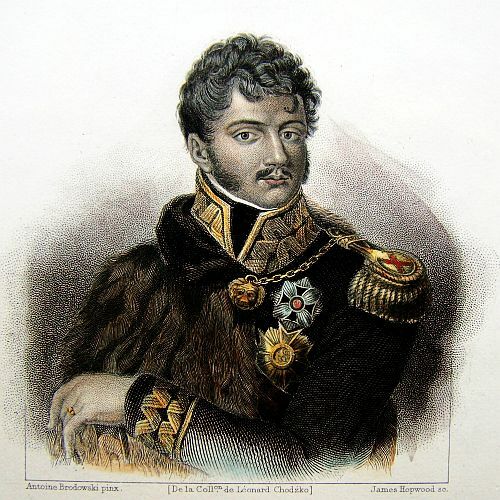 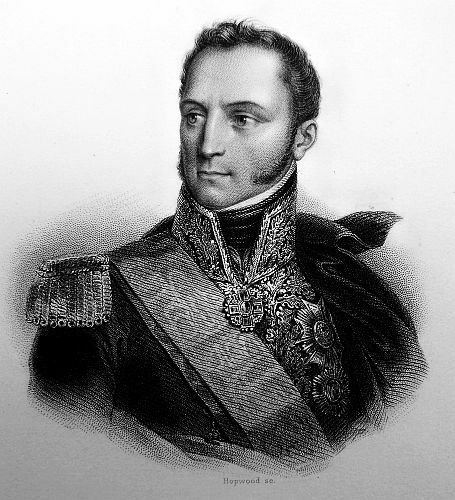 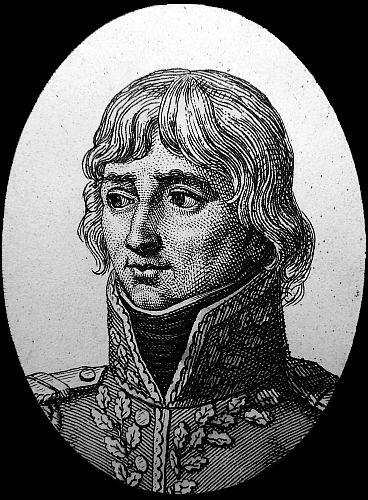 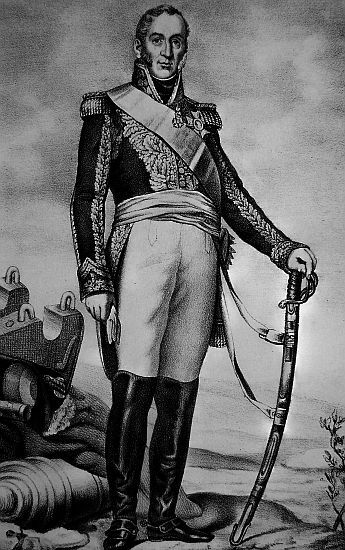 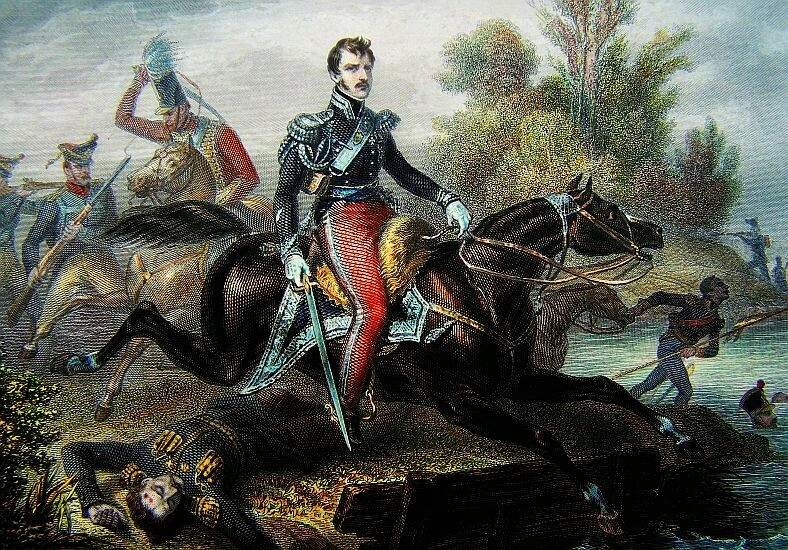 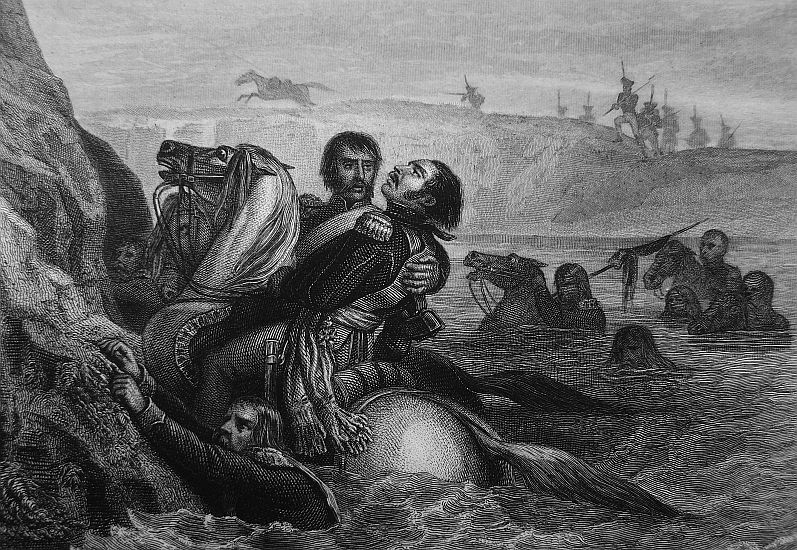 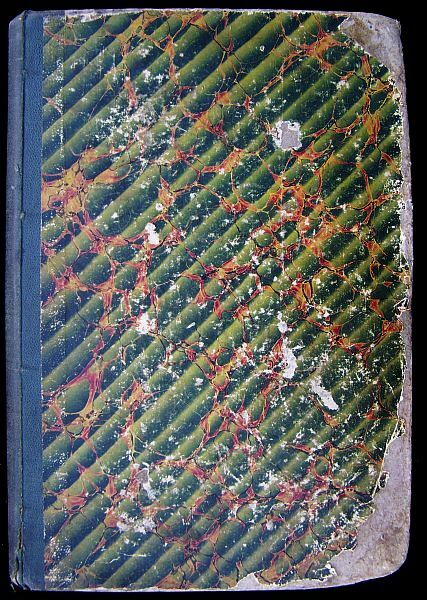 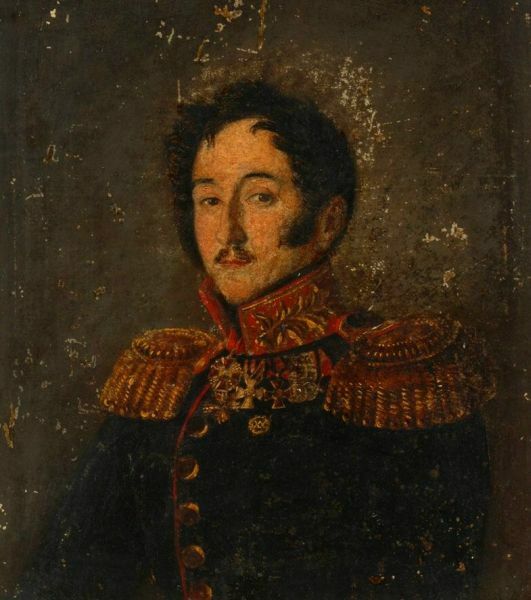 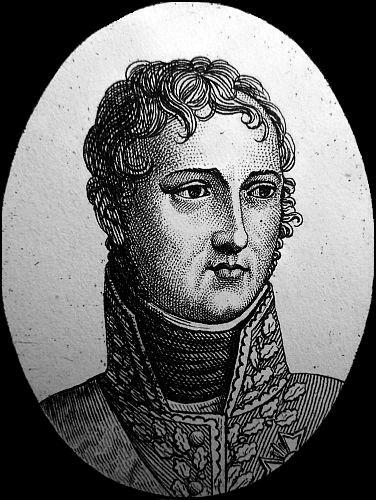 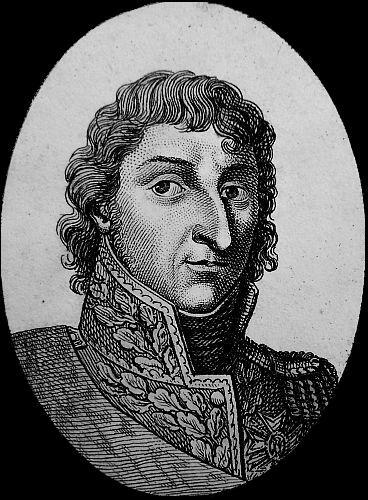 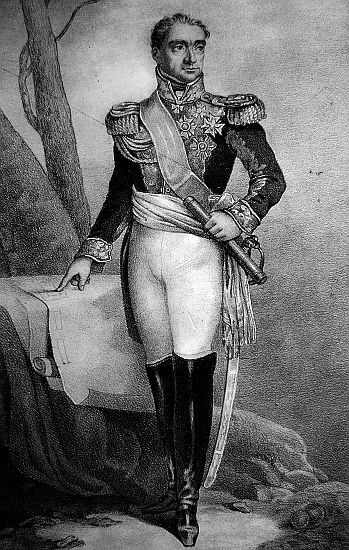 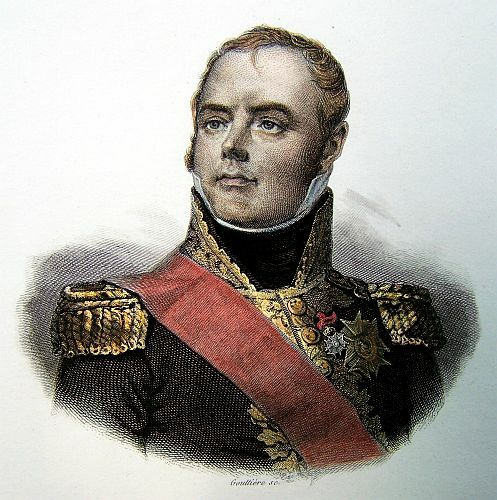 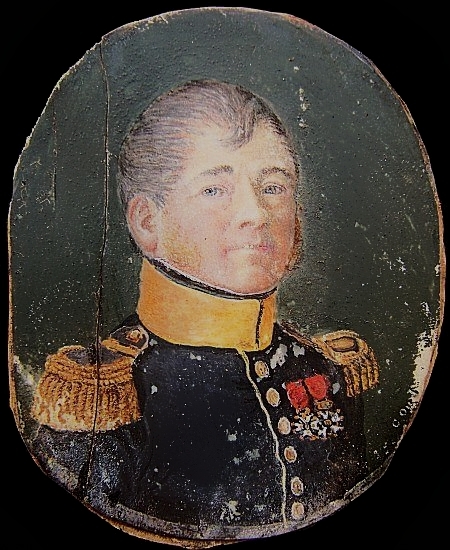 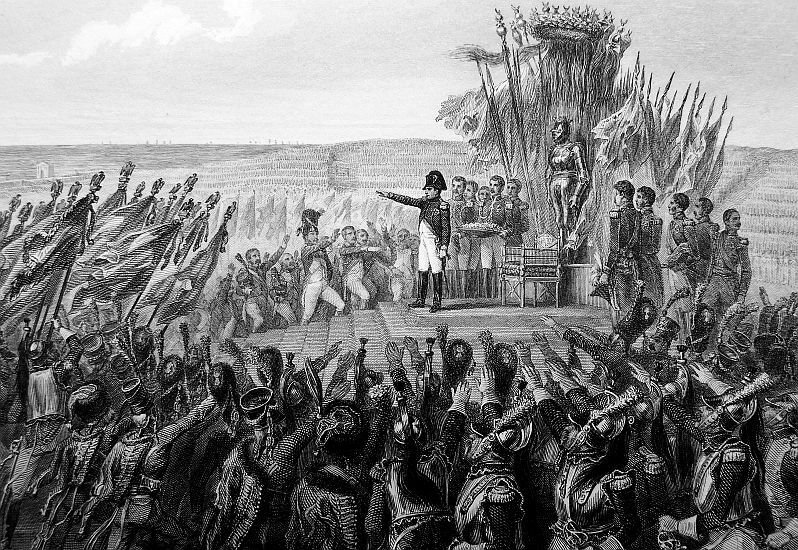 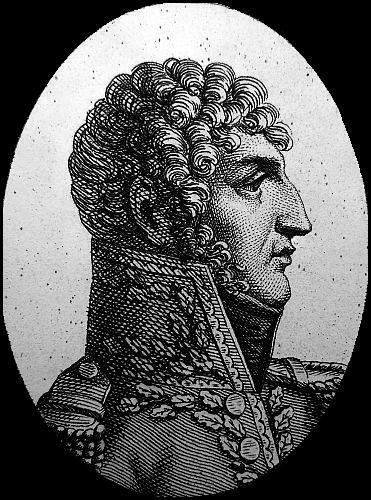 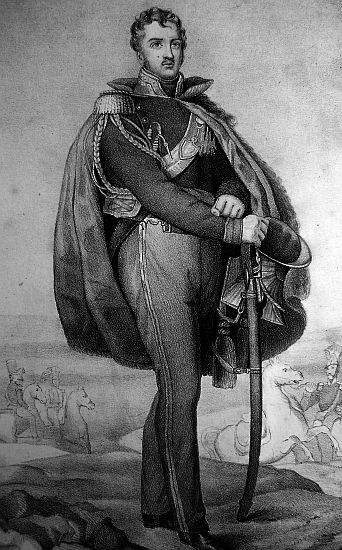 note: General Drouot would follow Napoleon to Waterloo where he would command the artillery. 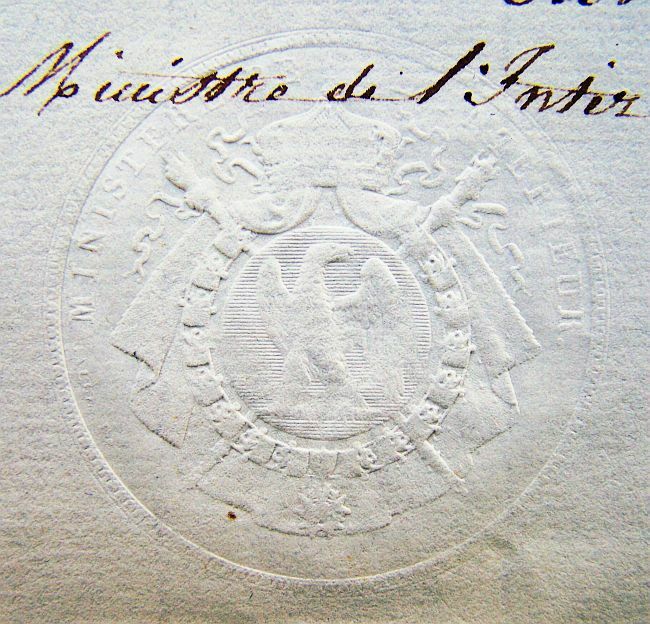 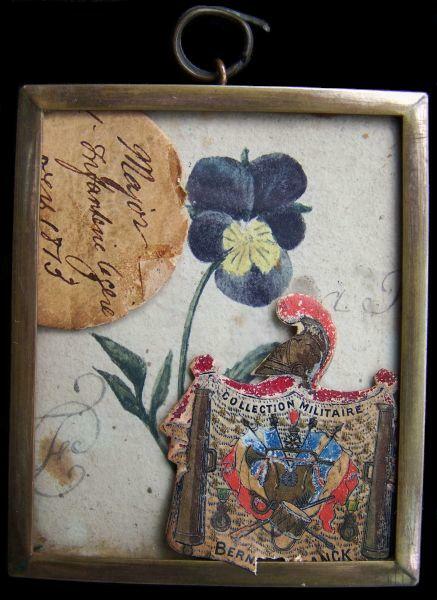 note: British certificate with the seal of the Royal Arms. 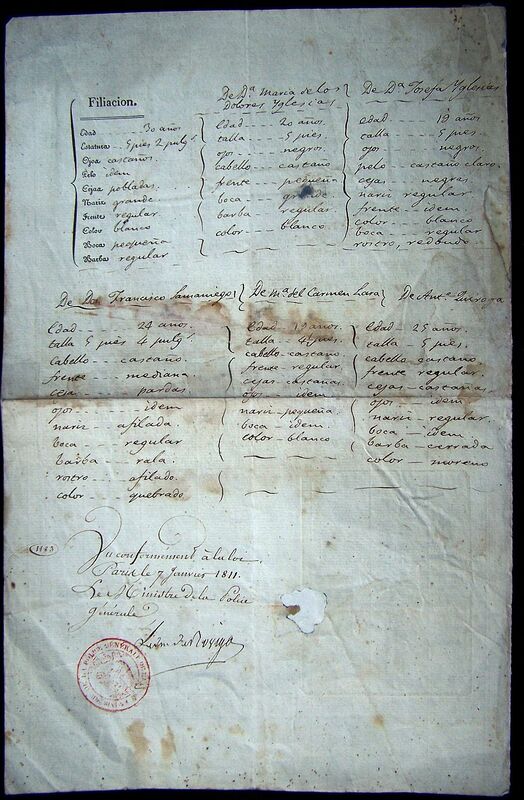 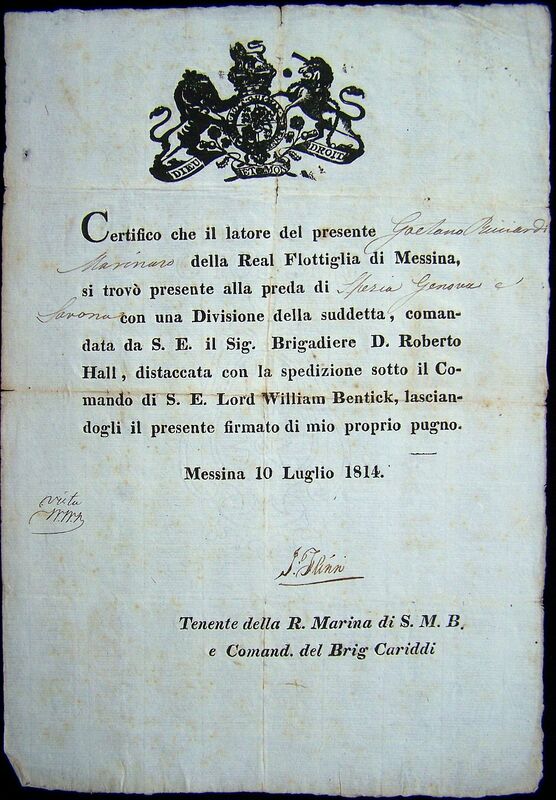 The document concerns an Italian mariner who had taken part in the capture of the Italian cities of Spezia, Genova, and Savona. 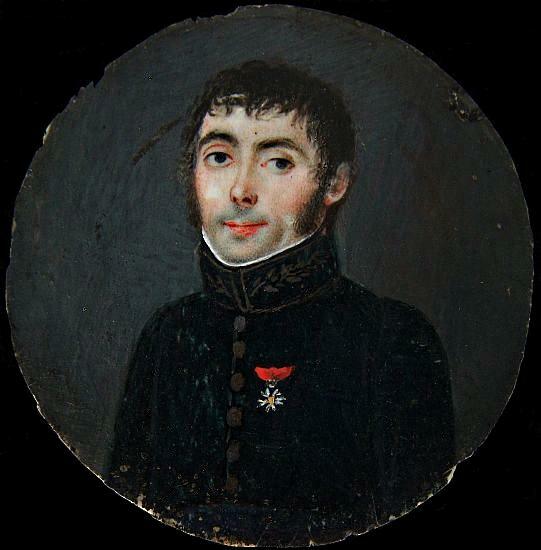 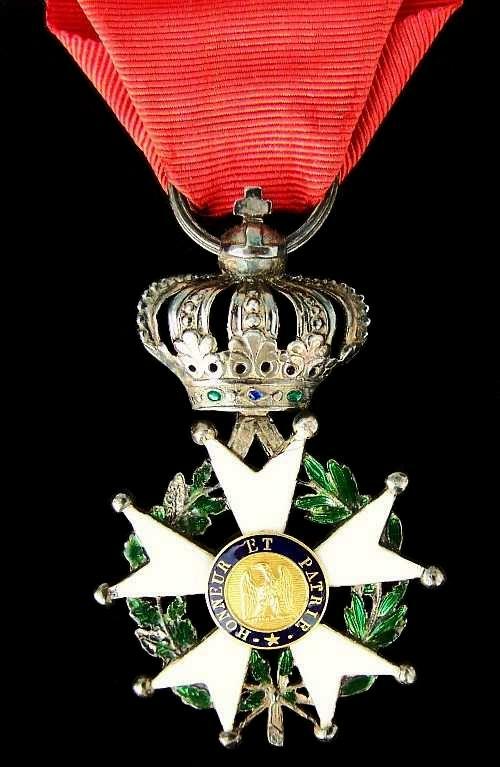 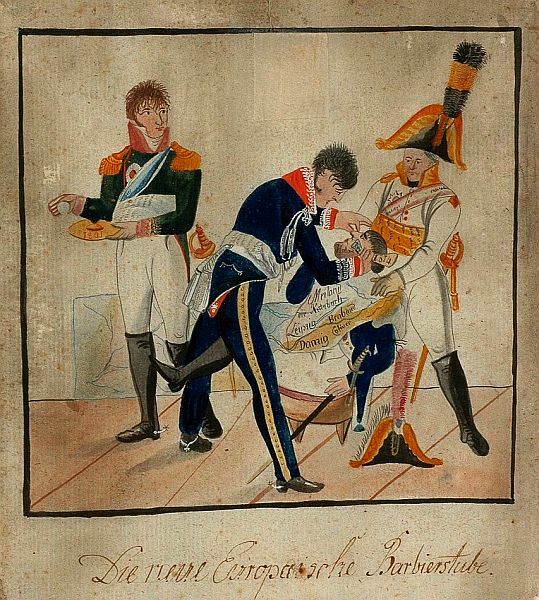 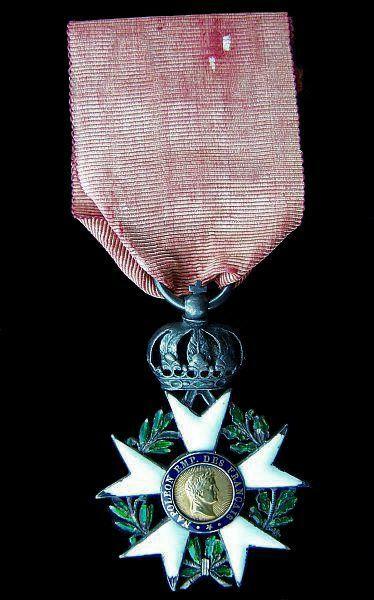 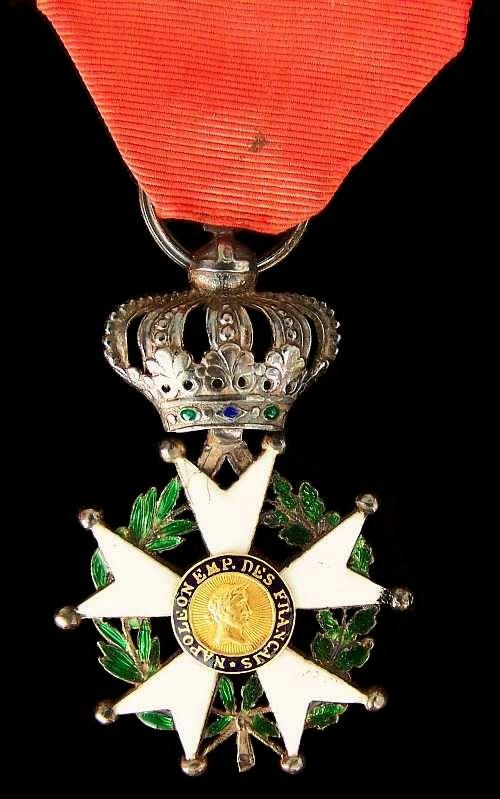 Monsieur the Duke, the advantageous instructions which have been given me regarding the services of Monsieur le Petit of Courville, Adjutant Commandant, retired, at Caen, bind me to beg your Excellency to grant him the decoration of the Royal and Military Order of St. Louis. 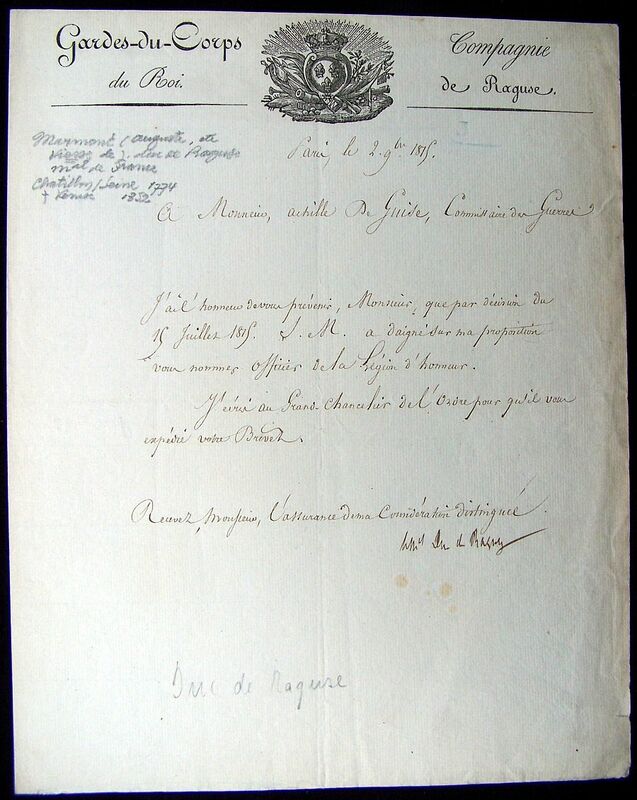 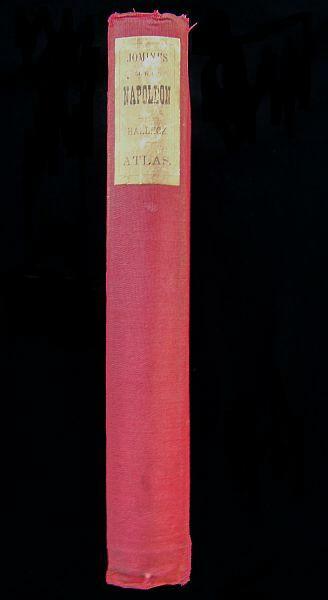 I include with the present letter the circumstances of the services of this superior officer with a copy of a letter addressed to him by Monsieur the Lieutenant General Commandant of the 14th Military Division. 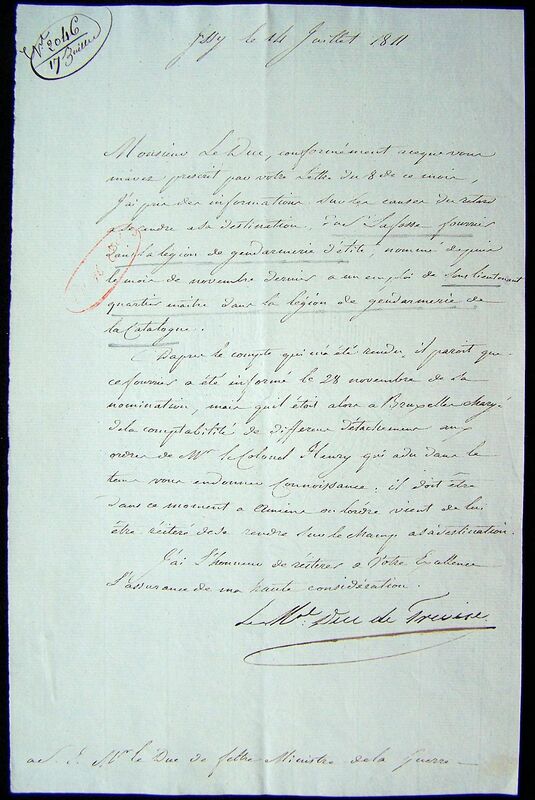 Accept Monsieur the Duke, the assurance of my great consideration.